24VAC 500mA sprinkler transformer for OpenSprinkler AC and OpenSprinkler Pi. Input voltage: 110V~120V AC. US/Canada plug. Stripped wires. 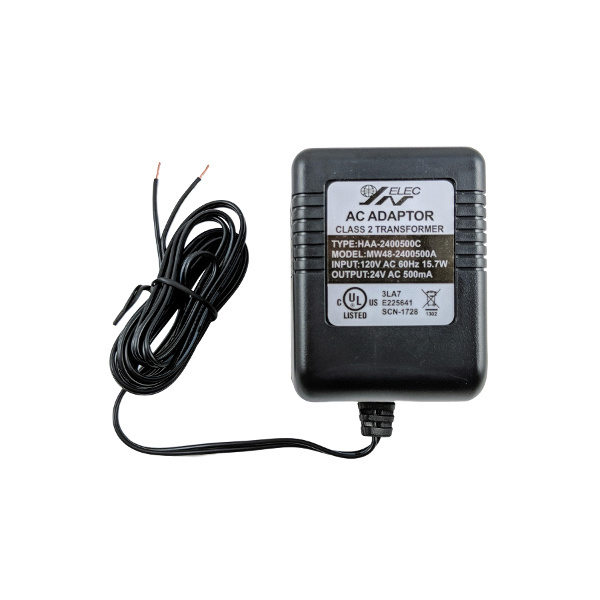 This 24VAC transformer powers both your OpenSprinkler AC controller and your sprinkler valve. Please note that this plug is designed only for 120v U.S. outlets. For use in other countries please check your mains voltage standard. 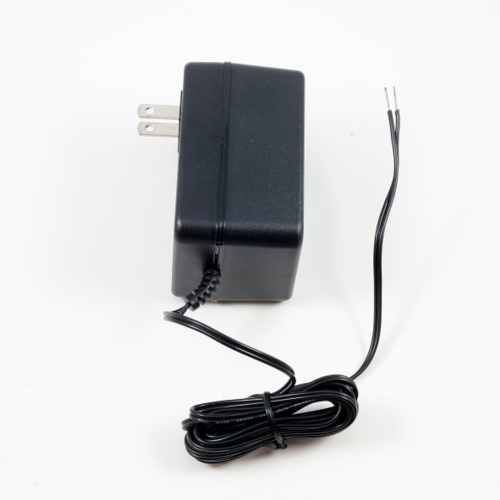 You may need a converter for your outlet style, and will definitely need a power converter if your mains voltage standard is 220V~240V AC. 24VAC 500mA transformer for 110V~120V AC outlets, with stripped wires.